Today I am sharing some of my recent Instagram pictures that don't otherwise make it onto the blog! It seems that lately I am a little obsessed with Free People tops. It is all I seem to be wearing. They just have great oversized casual tops and that is what I have been living in. I got so many questions about our highchair. It is the Peg Perego Siesta. I would say it is on the list of top 5 things that we bought for Andi. It is a little on the expensive side, but it is worth every penny. We use it so much. I love that it rolls so easily so if I am in the kitchen or dining room I just wheel her with me. Also the seat reclines with we have used so much! I hope you all are enjoying your weekend so far. Thank you so much for stoping by. I love your dress from Target in the last picture, very cute! Your white dress is a true beach dream! Your outfits are so cute, but look really comfy. I'll have to check out Topshop for that shirt, love it! Awww!!! 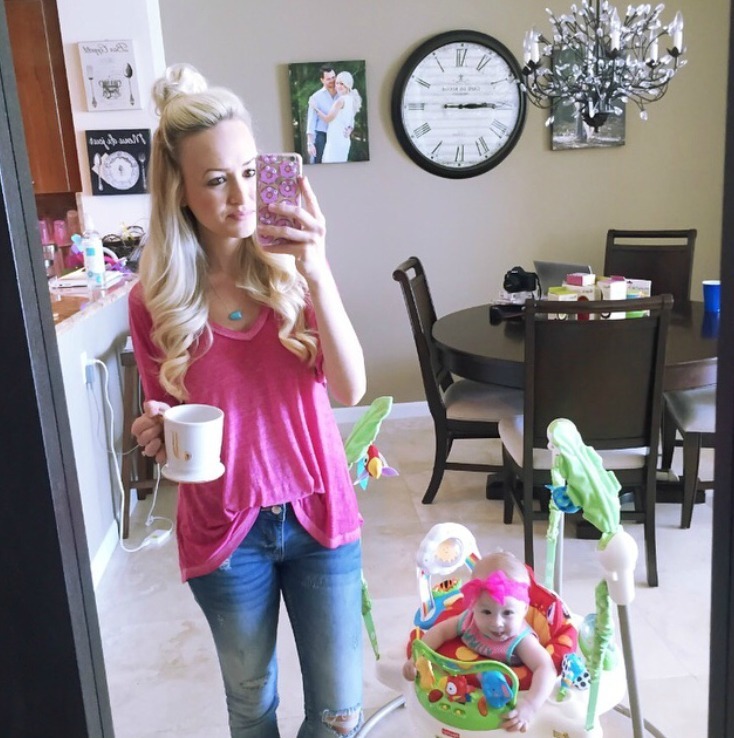 Such a cute photos of you and the little one! Great ootds too!! Love all the cute photos!!! 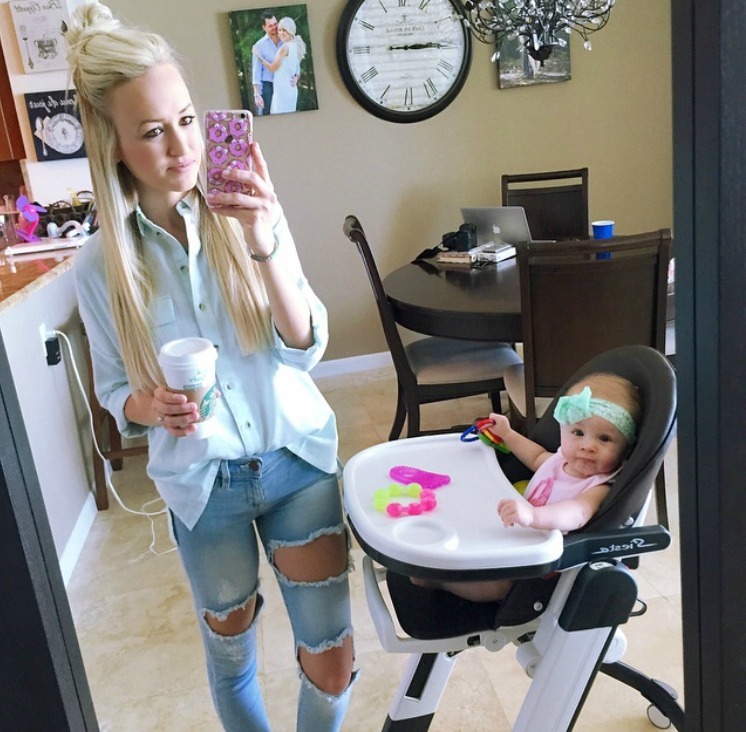 We have the same high chair, and I totally agree with you!! It's seriously the best, and it reclines. So it's pretty much been a life saver since my little guy loves to watch me while I'm doing house work. Hope you're having a fab weekend!! That pink dress from Target is to die for! LOVE those bright colors! I couldn't believe that dress was from Target, so cute! Your daughter is so beautiful! Awesome Free the People tops!